Are you tired of seeing the vivid colors on your screen turn into a muddy brown once printed, or having objects “rubber stamp” themselves on opposing pages of a book or magazine? No worries. This article tells you all you need to know about excess ink coverage and how to solve the issue in a heartbeat. Ink coverage: what’s in a color? As you already know, any color on paper is actually a mixture of inks printed on top of each other. For example, 100% magenta and 100% yellow will equal red with a combined ink coverage of 200% total area coverage. More complex colors such as brown might look like 45% cyan, 60% magenta, 100% yellow and 40% black or a combined coverage of 245% total area coverage. Excess ink coverage occurs when there is so much ink accumulation in a given area. Combine excess ink coverage with press gain and certain colors can shift towards a muddy brown tone or leave areas of ink wet, which can cause a “rubber stamping” effect when folded or stacked, especially under any level of pressure. How much ink is too much? * The less g/m², the less ink coverage paper can take. It is particularly important to take this into account for web printing (printing from a roll instead of a sheet, e.g. newspapers), as too much ink can cause the web to break. Avoiding excess ink coverage by preflighting. 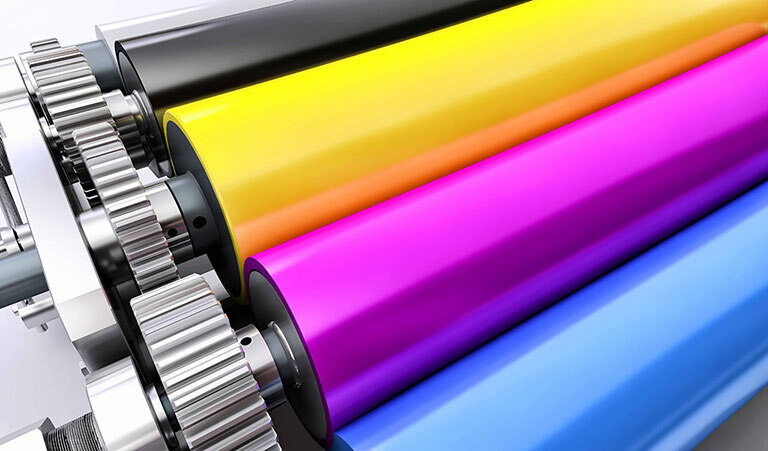 It goes without saying that controlling ink coverage is crucial to allowing the output device the best chance for success with regards to color reproduction and overall quality. Start using PitStop now to run preflight checks to scan documents for information that might exceed the maximum limit of total area ink coverage. Use built in DeviceLink Profiles for near perfect CMYK to CMYK conversions to reduce total area ink coverage to within the desired range. Your printer and most importantly, your customers will thank you for that added level of quality assurance! Want to check for total ink coverage in a PDF? PitStop Pro can calculate the total ink coverage in a PDF file automatically.